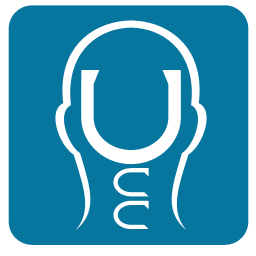 The Upper Cervical Blog: TMJ And Upper Cervical Care. TMJ And Upper Cervical Care. When most people hear the acronym TMJ, they think of their dentist. But an upper cervical doctor can also help. 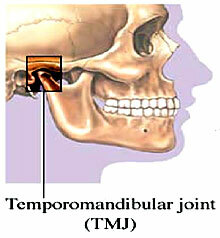 TMJ stands for the Temporal-Mandibular Joint, which is where your jaw (mandible) contacts/connects with your skull (temporal bone). The most common symptoms associated with TMJ dysfunction are pain with chewing, clicking or popping of the jaw. But many other symptoms can be caused from TMJ dysfunction including: headaches, fatigue, sleep disturbances, irritability, a loss in focus, ringing in ears, head and neck tension, sinus congestion and ear infections. Causes of TMJ dysfunction include blunt trauma to head/neck, fall/ hit onto chin (commonly seen in children), slip/fall on tailbone causing compensatory effects up the spine and into the cranial bones, whiplash/car accidents, and prolonged desk work/forward head posture. Understanding the relationship between proper function of the upper cervical spine and how that can influence the TMJ is helpful. Upper cervical doctors are trained in identifying and correcting the upper cervical spine. Specific upper cervical corrections are essential to restoring structural balance and providing proper function and neurological integrity. If left uncorrected, dysfunction can lead to grinding of teeth, facial asymmetry, additional stress upon the spinal column, and an increase in current symptoms. I could not agree with you more, there seems to be an important relationship between TMJ and Atlas misalignments.